Frederick (Fritz) C. Eilber, MD was raised in Santa Monica, California, where he received his primary and secondary school education. Dr. Eilber graduated from the University of Pennsylvania in 1989 with a BS in Biology. 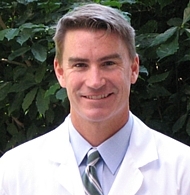 He received his MD degree from the University of California, Los Angeles (UCLA) in 1995 and went on to complete his residency training in General Surgery at the UCLA as well. As a research fellow during his residency, Dr. Eilber developed an interest in sarcoma research that was further developed as a surgical oncology fellow at Memorial Sloan-Kettering Cancer Center (MSKCC) in New York, New York. In 2004, after completing a surgical oncology fellowship at MSKCC, Dr. Eilber returned to the Department of Surgery at UCLA where he is currently Chief of the Cancer Surgery Service with a dual appointment in the Department of Molecular and Medical Pharmacology. Dr. Eilber was specifically recruited back to the Division of Surgical Oncology at UCLA to take over the leadership of the UCLA Sarcoma Program, with the goal of developing a translational research program to compliment its clinical prominence. This program has become the UCLA Sarcoma Clinical / Translational Research Program within the Jonnson Comprehensive Cancer Center (JCCC) and a Program Area in the Institute of Molecular Medicine. Dr. Eilber is director of both of these Sarcoma Program Areas. Dr. Eilber’s sarcoma research is focused on translating molecular oncology from the laboratory to the clinic in a rapid and clinically relevant manner with the goal of swiftly impacting patient care. His long-term objective is to rationally apply molecularly targeted therapies in the context of defined genetic lesions thus developing effective and individualized therapeutic strategies for patients with sarcoma. His efforts have recently focused on applying molecular imaging to evaluate response to systemic therapy (traditional chemotherapy, targeted therapy) and direct regional therapies (surgery, radiation therapy, embolization) in sarcoma.